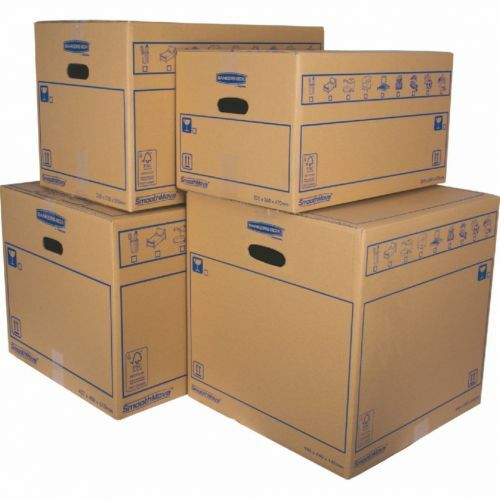 Moving has never been easier thanks to SmoothMove moving boxes. 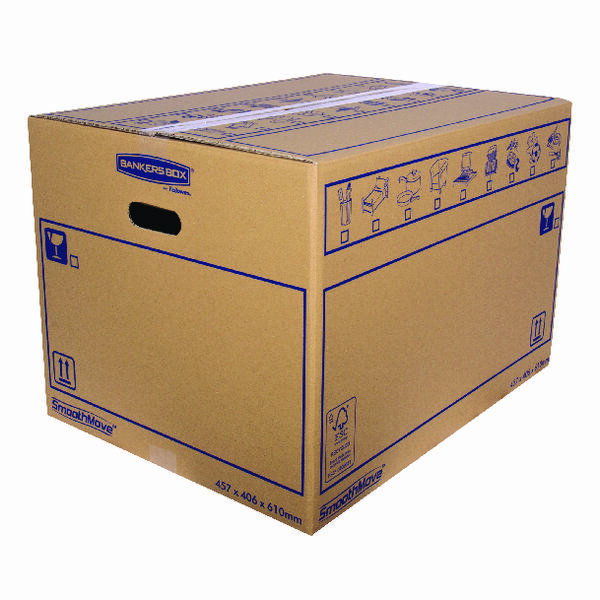 The Bankers Box SmoothMove Standard Moving Box is made from strong double thickness corrugated board and requires tape for assembly and closure. The box has pre-printed icons and a large label area to ensure your contents can be easily identified. 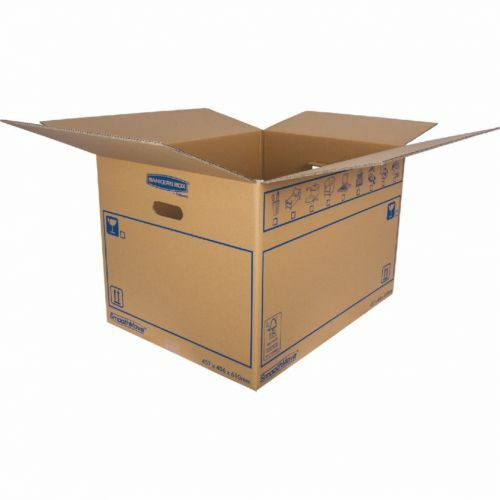 It is made from FSC certified board and is 100% recyclable.